You may think that Sydney is just a pretty young face with no real depth (…no denying it’s pretty), and by visiting the Opera House and getting a view of the Harbour Bridge you’ve done it all. But there is a lot more to Sydney than just these two iconic structures! Having visited Sydney on several occasions and even lived there for a short time I can assure you that you can find culture, history, art, stunning nature, fun night life and great restaurants if you know where to look. Once you have experienced the real Sydney, it’s hard to deny that it’s a great city (me saying that means a lot as I am a Brisbane boy through and through). I will mention that in my opinion the best time to visit is during October-March, however, December and January can get very hot! So, let’s dive into this Complete Insider’s Guide to Sydney. If you are coming from the airport then you are about to discover that the trains from Sydney Kingsford Smith Airport to the CBD are ludicrously expensive. You will pay around $20 to get to the city simply because the station at the airport is privately owned and they enjoy ripping people off. I have to take a deep breath and close my eyes every time I tap through. If there are two or more in your group, consider a taxi which costs about $55 into the city centre. There are shuttle services but they aren’t much cheaper (but they can carry more people). HOWEVER!!! I am proud to announce I recently discovered a cheap option to get to and from the airport. I have been curious to try this and on my recent adventure to Melbourne I was able to… it was successful. Near the airport is a station called Wolli Creek Station and it isn’t privately owned, meaning it’s only a few dollars to central station. All you have to do is walk through the airport car park, across Marsh St/Airport Dr bridge, along the river which is actually a semi pleasant walk, through a small shopping area (Brodie Spark Dr) and TADA, there’s the station. It’s a 15-20 minute walk, which is fine if you don’t have much luggage. I have added a fairly terrible image to help out. Note in the photo I was going from the station to the airport which is slightly easier to navigate I think (I promise the rest of the photos in this blog are better quality). In general, Sydney’s public transport is pretty easy to navigate. Just make sure to get yourself an Opal card. They are free and make public transport that little bit cheaper and more convenient, also get a train map beforehand. An important fact about the Opal card is that once you have reached 8 trips in a week, the rest of your trips are half price, and on Sundays you won’t get charged more than $2.60 for the whole day, so plan all your expensive travels for that day (you can find a complete price guideline to the opal card here). If you have access to google maps while you’re on the move, then you may even dare to use buses. All in all the public transport system isn’t bad. It’s not London but it does the trick. There’s plenty to choose from and it all depends on the kind of holiday you are looking for and your budget. If you want a beach holiday, then check out AirBnB for some of the best options around Coogee or perhaps one of the other main beaches that are closer to the city. The obvious choice for accommodation is in CBD/Central. The location is great but comes at a cost and some of the areas aren’t exactly picturesque. Check out the Adina and the Mercure, or for something cheaper there are plenty of hostels. As said, it all depends on your budget. For families, the Darling Harbour is the go to choice as it’s close to a lot of attractions including a big and free kid’s playground and the restaurants here are suited for families. Again, this may come at a cost. The Rocks is probably one of my favourite areas as it has a great vibe, but depending on where you are it can be a longer walk to the CBD. Finally, consider Kings Cross, Newtown and Paddington. The only downside is that you may have to travel further to get to the main attractions, but the areas are great. Kings Cross used to be the red-light district but it’s changed in recent years. Tamarama and Bronte beach: I have purposely grouped these two together, they are right next door to each other and sit between Coogee Beach and Bondi Beach. So, I recommend you go to Bondi and do the coastal walk to Coogee which is a must (I’ll mention this again later) and stop by at these two beaches for a picnic and a swim. Bondi, Coogee, and Manly: They’re iconic so I didn’t have much choice but to add them. However, the bonus for Manly beach is that you can catch a ferry to get there. Theres a restaurant at Manly beach called Hemingway Cafe, great coffee and the best chicken nuggets in Sydney. Shelly Beach: This is one of my favourites. It’s right next to Manly but a lot more quaint. A lot of those beaches also have ocean pools which use water directly from the ocean, no chlorine. These are great for kids, or if you don’t like waves, simply want to swim laps, or you’re scared of sharks like my sister in law. Sydney Sights Free Walking Tour is the ultimate way to discover Sydney’s key sites as well as get an understanding of Sydney’s history. When they say ‘free’ they mean no upfront fee and an optional tip at the end… which they don’t hesitate to remind you of. But then this is their job so I usually give about 10-20 dollars (my family regularly remind me that I am stingy). The best part about this tour is that it is truely run by locals who have great insight to best bars and restaurants, hidden gems, and must see attractions… you simply have to talk to them. The Sydney Secrets Big Spin Bike Tour is a great way to discover those hidden gems you wouldn’t otherwise, and you can cover more distance on bike…obviously. 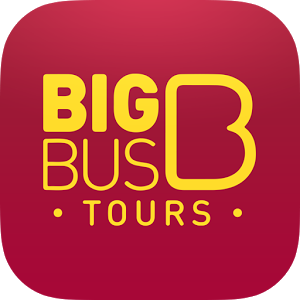 To explore Sydney from the water, check out the Hop On Hop Off Captain Cook Cruises, or from the land you can grab the Big Bus Hop On Hop Off Sydney Tour. Either way it’s a good method to get around and jump off at the main sites, I especially recommend it for first time visitors. The Rocks is one of Sydney’s most vibrant areas and the Rocks at 6pm Free Walking Tour is a perfect way to discover it! Again, tip at the end. If you want to save some money, simply print off the Selfguided Sydney City Orientation Tour and explore Sydney yourself. Only downside is you won’t be getting the inside scoop or stories from a local tour guide. Did you ever imagine that those three words would be used in combination with an Australian city? Well this isn’t a joke; Sydney has plenty to offer (most of which are free). Let’s start with Art. If you have a general interest in art, then the two museums/galleries to look out for are the Art Gallery of NSW and the Museum of Contemporary Art. They are in super locations and you can easily spend a couple of hours there. The White Rabbit is a favourite of mine simply because it is very different. This state-of-the-art, four-floor wonderland is all about 21st century Chinese art and it is really worth visiting for an hour. Traveloris has a bunch of great art museums to choose from. It all depends on what you are after. 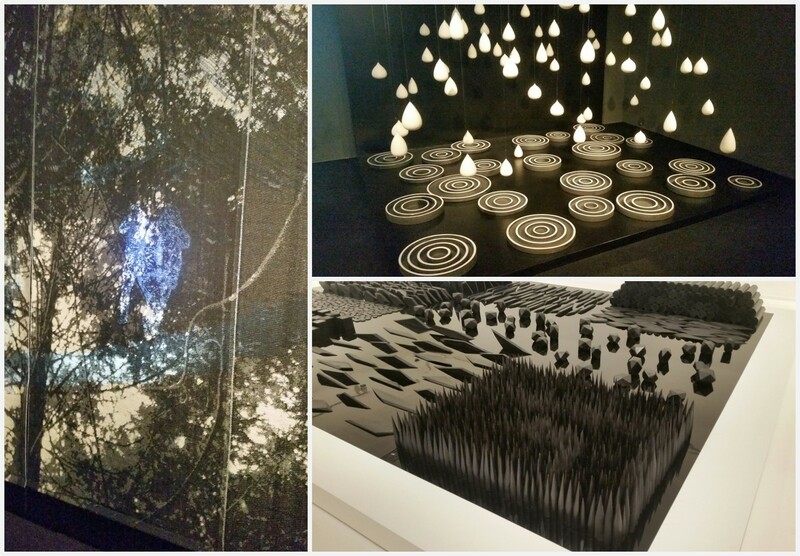 Keep an eye out for Artspace, S. H. Ervin Gallery, and the Brett Whiteley Studio. Hyde Park Barracks is a former prison, now museum. It gives you a glimpse into the lives of convicts & orphans who dwelt there in the 1800’s. It’s also in a practical location which adds convenience (for us more so than the convicts). The Powerhouse Museum is a really fun and interactive museum, there are a few permanent exhibitions like the experimentation where you can get hands-on with science. This is especially great for kids. Sydney Observatory is an attraction I’ve decided to throw in because it’s a historic site and very central! You’d almost be surprised to find it where it is. Keep an eye out for tours and astronomy courses. If you have some spare time, visit Fort Denison. 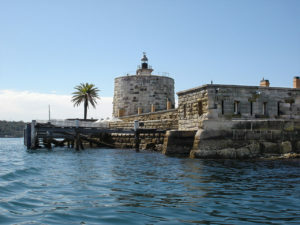 It’s a tiny island in the harbour that is easily spotted by its iconic Martello Tower – the only one of its kind to be built in Australia. Consider joining a tour while you are there. Elizabeth Farm is harder to get to, but it’s worth it. At first sight it looks like a quaint homestead, but there is a stormy and dark history waiting for you at Sydney’s most hands-on ‘living’ house museum. This is where Sydney comes into its own. There are plenty of fun things to do in Sydney for all ages. It’s a bit radical to start this list with Sydney’s ultimate jet boating experience, but hey! 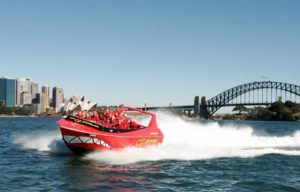 Oz Jet Boating is a half hour Shark Attack Thrill Ride and it’s fast, furious and packed with stunts! Jump aboard and experience Sydney Harbour from a different perspective, and if you’re lucky you may even get a moment to take in a great view of Sydney. For something a tad more Australian, the Whale Watching with Captain Cook Cruises will provide you with an unforgettable experience by getting you up close to some whales. Problem is that it only operates during whale season, May – November (those are some inconsiderate whales!). For some family fun, the Sydney Bridge Climb, Sydney Aquarium, and the Tower Eye are all central and great choices. Perhaps one of the most famous zoos in the world, the Taronga Zoo is perfect for kids, especially now that they have introduced the Wild Ropes. It’s an experience for the whole family and offers ultimate Sydney views from the tree tops. I suggest you take kids so you don’t look like that weird adult doing fun kids’ stuff even though we all want to; I invited my nieces. Ever wanted to learn how to surf? Let’s Go Surfing in Bondi or Manly are perfect for just that! So now you don’t have an excuse to not ride some waves, or perhaps visit the Dive Centres in those areas instead to explore the ocean floor. If you have a spare day and the sun is intense, slap on some sun screen and head to Wet’n’Wild, Sydney’s best water park and a fun day out. There are two clear choices here, the Harbour Bridge Pylon – you’d have to pay to climb over the Harbour Bridge but the views are great, or alternatively the highest observation deck in the Southern Hemisphere – the Sydney Tower Eye. The Sydney Tower also offers a skywalk for the extra thrill. Both cost money and for those of you on a tight budget there are plenty of vantage points around Sydney offering a great view of the skyline and Harbour. My favourite – and I think it’s a must – is the view from Mrs Macquarie’s Chair. I can’t describe it so I added a pic below, it perhaps offers an even better view than the first two options! 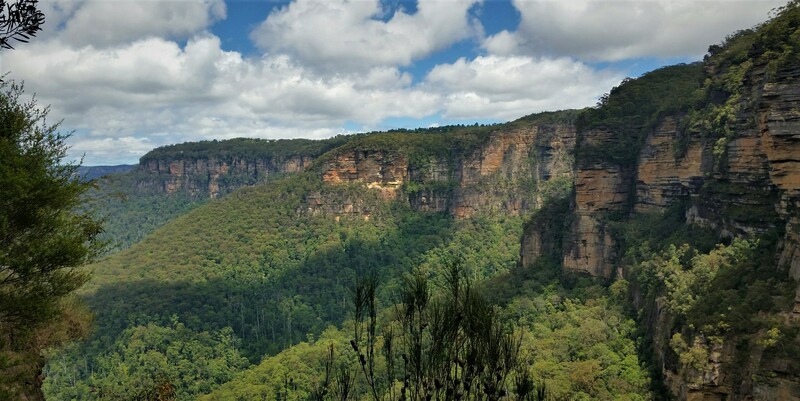 Sydney has a lot of lush green areas, but the most notable and one you simply must visit even if you have only a few days in Sydney are the Blue Mountains and Jenolan Caves. 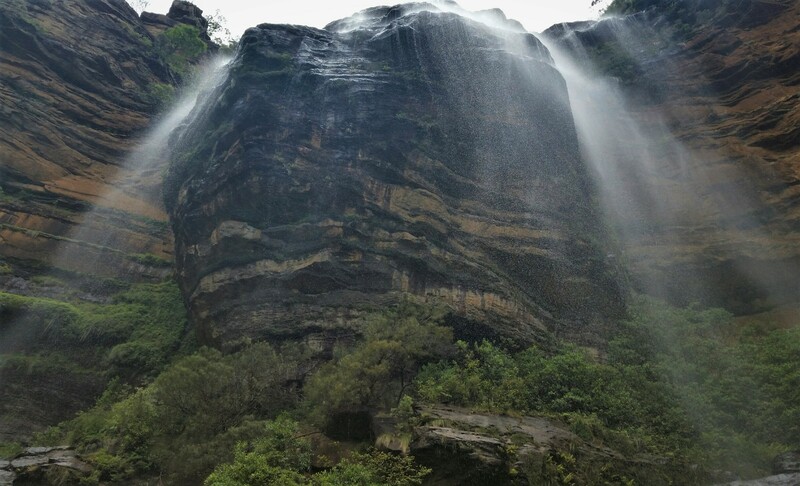 The Blue Mountains are especially famous for the iconic three sisters. You can easily spend a whole day in the area and I’ll let the images below speak for themselves. The next must after the Blue Mountains is the Bondi to Coogee Coastal Walk with stunning views of beaches, parks, cliffs, bays and rock pools. It’s a 6 km walk that will take you about 1-2 hours at a leisurely pace. If you want to escape the buzz of the city, go to the Botanical Gardens. A very well looked after garden and a great place to relax and take in some nature, a little further from the city and less of a tourist trap is Wendy’s Secret Garden, this is an incredible nice garden and bit of a hidden gem! 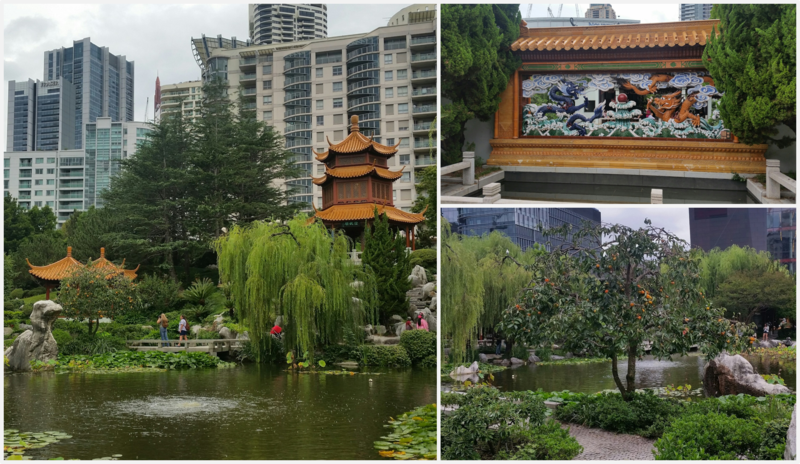 Alternatively, and again a must is the Chinese Garden of Friendship right next to the Darling Harbor. This is a great place for kids and adults alike to spend an hour walking around and looking for your zodiac that’s hidden somewhere in the garden. Finally, for some true nature that’s close to the city, Lane Cove National Park is the perfect place for a family day out. Explore historic sites along the Heritage walk or enjoy a picnic before going on a trek. Glebe Market is located at a school and is subsequently only open Saturdays. It’s got loads of clothes and plenty of odd bits and pieces. When I went there were only five or so food stands but they were all top. The Chinatown Night Market is open Fridays 4-11pm and a great way to taste some authentic Asian food. If you want a market that offers lots of everything, the Rozelle Market is your destination and it’s open all weekend! For the best fish in town, head over the the famous Sydney Fish Market. There are several more that offer different things and are open at different times. Simply select the markets filter in Traveloris to see them. The nice thing about Sydney is that it’s almost as though it’s not a city, but a collection of towns! It’s also convenient that the areas in Sydney that are worth exploring tend to also have great restaurants. So, in my guide to Sydney I have grouped them. The areas to really look out for are The Rocks, Chinatown & Haymarket, Circular Quay, Paddington, Surry Hills, Darlinghurst and Darling Harbour. Note, Darling Harbour is bit of a tourist trap when it comes to restaurant; venture a little away from the area and go to Regents Place where you will find amazing and affordable Ramen at Tenkomori Sydney. Rozelle is also a really nice area, and there are loads of great restaurants and cafes in Darling St.
One of my favourites is a Greek restaurant called Alpha which is central. For a good burger, check out Crisp CBD Burger Sandwich Salad. Restaurant Hubert is a new kid on the block and produces great French Cuisine. Banksii is another top restaurant to go to for a meal. For the absolute best in fine dining, Tetsuya’s is the place to visit, but expect to pay about $250 per person with no drinks… it’s an experience rather than a quick meal. 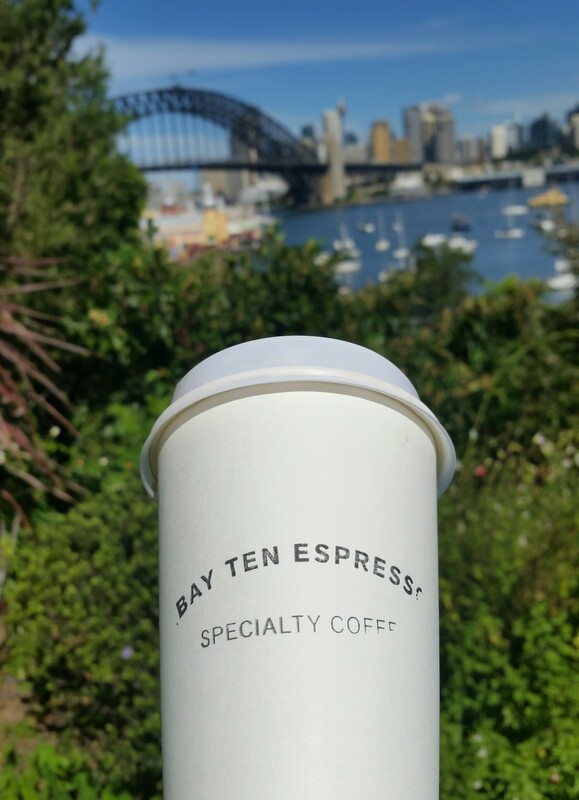 I will quickly mention, that for awesome coffee and a healthy meal, check out Bay Ten Espresso. It’s right next door to Wendy’s secret garden which is a great getaway for a coffee and great views of the harbour, make sure to visit this place if you have a spare morning. How to Save Some Money and Not Miss Out! A lot of the museums and attractions are free, but if you want to go for some of the more exciting/unique experiences then there is the potential that this isn’t going to be a cheap trip. Especially if you’re paying for a few people. If you want to pack in a lot and save some money, plan your trip on Traveloris and we’ll calculate just how much you could save with the iVenture Pass. It may be up to 40%! A real steal. Here you described very well guidelines to complete the tour of Sydney. Thank you Ethan, I’m glad you like it!